SOMERSET, WIS, APRIL 13 — The new Aztec collection from Kuryakyn® strikes a perfect balance of vintage art deco design and modern style indicative of Indian® big twins. 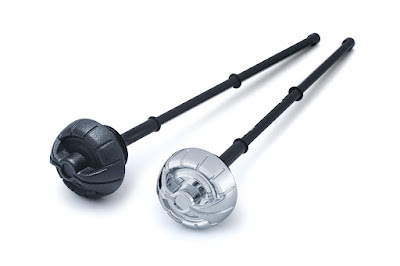 Now available in the growing line of accessories are the Aztec Dipstick and Fuel Caps, two easy add-ons that prove the little details can create a huge impact. 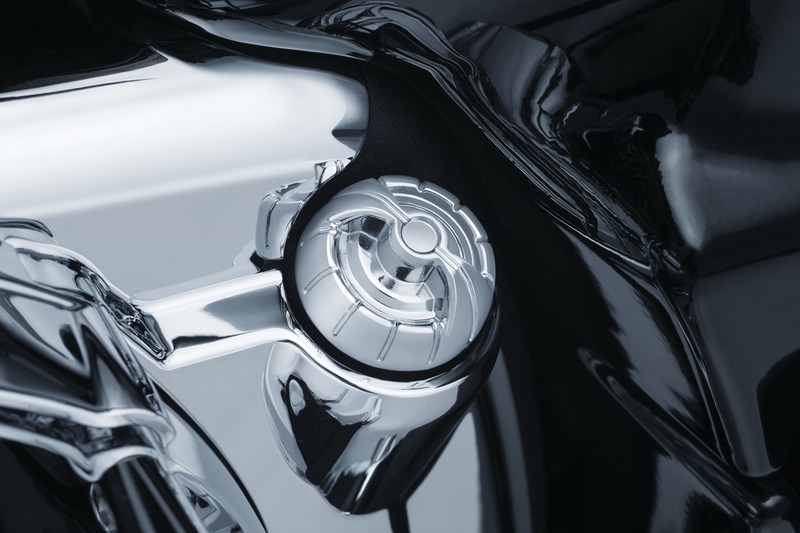 Aztec Dipsticks (P/N 5710 – Chrome, 5711 Satin Black) eliminate the need for the OEM-supplied tool required to remove factory units. Constructed from quality A380 aluminum with high-temp injection-molded ABS threads and dipstick etched with easy-to-read “Full” and “Add” levels. 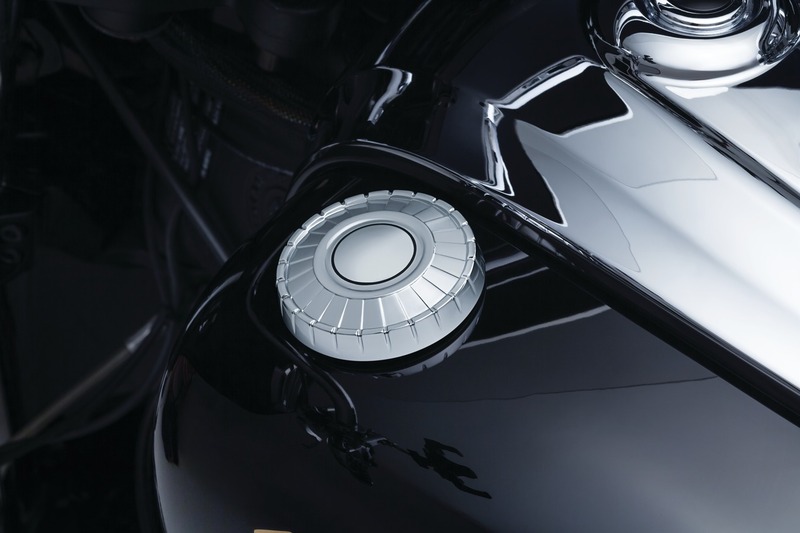 The chrome version is a perfect complement to Kuryakyn’s line of Indian engine covers including the Rear Oil Panel Accent (P/N 5644), while satin black is ideal for Dark Horse models or a contrasting finish with factory chrome components. 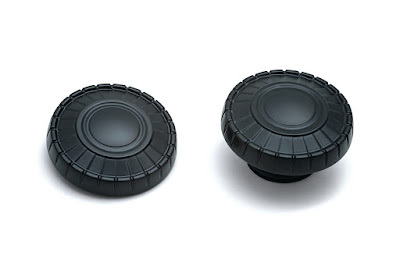 Aztec Fuel Caps (P/N 7387 – Chrome, 7388 – Satin Black) include a right-side vented fuel cap and left-side “dummy” cap that both offer enhanced styling compared to their stock counterparts. The direct replacement caps are constructed from A380 aluminum (with ABS threads) available in chrome or satin black finish for a captivating addition to Indian big twin tanks. The Aztec Dipstick and Fuel Caps are available for all ’14-’17 Indian Chief, Chieftain, Roadmaster and Springfield models. Additional products in the Aztec line are slated for release throughout 2017.